Egg Films and its sister company Arcade were among the big winners at last night’s Loerie Awards, with their directors picking up two Golds, three Silvers, five Craft Certificates and two Bronzes across the TV & Cinema and Branded Content categories alone. Across all categories, Egg and Arcade’s directors won four Golds, six Silvers, five Craft Certificates, and three Bronzes. Egg Films’ director Terence Neale, the most awarded director in 2014, again had a standout night, taking home a Craft Gold, two TV & Cinema Silvers, and five Craft Certificates. The Great Dlamini, Terence’s Houdini-in-Africa themed Chicken Licken ad for Net#work BBDO, won a craft certificate for direction and a Silver in the TV & Cinema category, as well as a Gold Craft for William Boyes’ production design and craft certificates for best use of licensed music, Saki Bergh’s edit, and Anele Matoti’s performance. Without 5, Terence’s 5FM ad for King James II about life without a soundtrack, picked up a TV & Cinema Silver, as well as two craft certificates for Best Use of Licensed Music and Original Music and Sound Design. Arcade’s Rob Smith dominated the Branded Content category, taking home two Golds, four Silvers, and two Bronzes overall. Rob directed Sanlam One Rand Man, a social experiment about a South African living beyond his means, who has his salary paid in one rand coins. Rob won a Campaign Gold and a Single Execution Silver for One Rand Man in the branded content category, while the King James campaign also took home Gold for Integrated Campaign, Silvers for Digital Integrated Campaign, Social Media, and PR. In the branded content category, Rob also won a Campaign Bronze for Sanlam Idols and a Campaign Bronze for Johnnie Walker The Gentleman’s Wager, both through King James. Egg Films’ Dani Hynes directed the online video component of Lowe and Partner’s Get Me To 21 campaign, which won Gold for PR and Bronze for social media. Check out Terence’s reel at http://eggfilms.tv/south-african-commercials-director/terence-neale/ and Rob’s reel at http://arcadecontent.tv/south-african-director/rob-smith/. Your Future Is Not Mine, a global adidas Originals short film directed by Egg Films’ Terence Neale, won a Gold Film Craft for Original Music at Cannes Lions, thanks to vocalist Daisy Hamel-Buffa and Squeak E Clean Productions. Egg Films and its sister company Arcade Content both featured prominently at last week’s Creative Circle Ad of the Year Awards, with Dani Hynes working on the Digital Ad of the Year; Rob Smith and Jason Fialkov being part of the campaigns that came second and third respectively in Integrated; and Terence Neale having three finalists in the Film category. Films’ Jason Fialkov directed First Kiss, a heartbreaking love story for the Western Cape Government. The spot was recently featured in leading international trade magazine Shots. If you haven’t seen it yet, stop reading and press play before we spoil the twist in the tale. Egg Films’ Terence Neale is in the international spotlight again for Your Future is Not Mine, a global adidas Originals short film for New York agency, Johannes Leonardo. Your Future is Not Mine cracked this week’s Best Ads on TV; was Top Spot of The Week on Shoot; and was Editor’s Pick on Creativity and Little Black Book. Egg Films’ New Year’s resolution was to avoid any one-night stands in 2016 (with the possible exception of their Loeries party). So far, so good, with three campaigns already flighting this year, after second, third and fifth dates respectively with repeat clients Careers24, Standard Bank and Wimpy. Egg Films’ Sunu directed M&C Saatchi Abel’s charming new Bakers ad. Egg Films’ Sunu directed Coming Home, Ogilvy Johannesburg’s new Castle Lager ad celebrating 120 years of the iconic South African beer. Egg Films’ Lebogang Rasethaba directed two music video-styled ads for Cell C featuring Aewon Wolf and Sketchy Bongo from The Wolf Pack. Egg Films is the highest-ranked South African production company in the official Loerie Awards rankings for 2015. Egg Films and its sister company Arcade were among the big winners at last night’s Loerie Awards, with their directors picking up two Golds, three Silvers, five Craft Certificates and two Bronzes across the TV & Cinema and Branded Content categories alone. The universal theme of why and how people earn, save and spend money is beautifully illustrated in ABSA's new music video “Save for Change." The Careers24 three-part campaign for Ogilvy Cape Town directed by Terence Neale of Egg Films has featured in the top three best spots in Ad of the month as voted for by creatives in the industry. This follows its popularity on Ad of the Week for Marklives along with the campaign becoming a conversation starter on social media. After an incredibly busy stint, Dani Hynes's last project was a real heart and soul campaign which involved the community, whilst also helping to improve their lives. This aptly demonstrates what the NIVEA Care is Beautiful initiative is all about. Skrillex Ragga Bomb, directed by Egg Films’ Terence Neale, was named Best Music Video of 2015 at Wednesday night’s One Screen Awards, produced by The One Club and held at Sunshine Cinemas in New York. Dani Hynes recently directed a five spot campaign for First For Women with Black River FC’s creative team of Ahmed Tilly, Vanessa Gibson, Lufuna Mavhungu and Ilze Venter. This series of ads was created around the insight that man logic causes men some lapses in practical reasoning. Terence Neale of Egg Films has directed a new three-part campaign for Ogilvy Cape Town with the creative team of Chris Gotz, Oskar Petty and Monique Kaplan for Careers24. To continue what has been a busy and exciting year for Sunu working on large scale productions for the Castle Boucher Rhino legacy, Discovery Insure, SA Tourism, Black Label, and Vodacom, Sunu recently directed the new commercial for Vodacom through Ireland/Davenport. Along with a lot of other exciting developments within the brand story, Egg Films is proud to launch its new logo and new website. 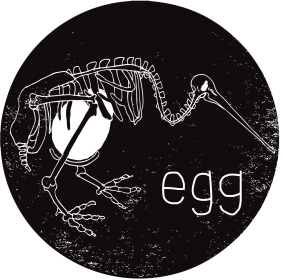 Egg called in Johan de Lange, famous for his original and witty illustrations to craft the logo for the next incarnation of the Egg story. Egg Films started in 1998 as a two man operation based in Cape Town. Through a philosophy of creating innovative and conceptually-driven work, the South African production company built a reputation for producing award-winning commercials. Egg rapidly established itself as a leading production company in South Africa, picking up a slew of local and international accolades along the way. Egg is a regular inclusion in the Gunn Report’s ‘Most Awarded Production Companies of the World’ feature. With offices in Johannesburg and Cape Town, Egg represents a strong roster of local and foreign-based directors. Egg has expanded beyond advertising, exploring documentaries and music videos, as well as developing feature films. Today, Egg has cemented a reputation for outstanding work, with a hands-on service department that extends Egg’s core principles of innovative, creative work to a wide range of visiting international production companies, shooting in Southern Africa and the Indian Ocean Islands. If you’re feeling nostalgic, check out our favorite work from the Noughties here.